​Our shops are entirely dependent on donations from the very generous people of Cape Town. The proceeds from our shops go to the Goedgedacht Path out of Poverty Rural Youth Centres(POP). As a result we are constantly on the lookout for goods and, as we are helping poor children, we hope this appeal might be one that will capture the imagination of your pupils. 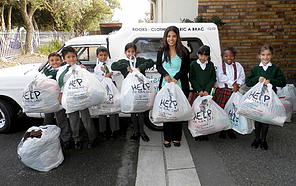 ​Would you be prepared to involve your pupils in doing a collection once a year on our behalf? We would be so grateful if you would. 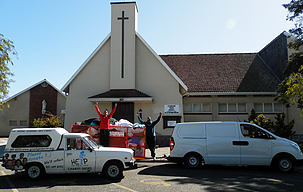 This has been a very successful operation for the last four years whereby we drop our collection bags at a church to which we have been invited. The bags are given to the parishioners to fill over one weekend in the year.